But why would anyone be racist? 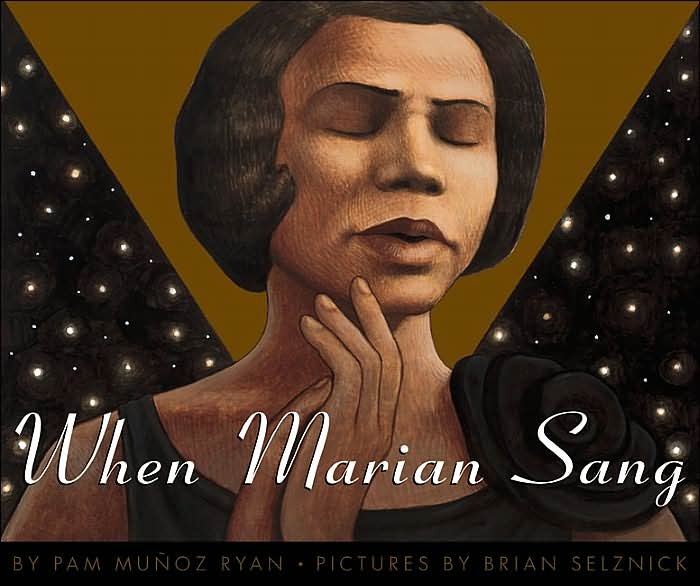 It began as we read When Marian Sang to dissect Marian Anderson’s motivation for facing her fears when she sang in front of a potentially racist crowd of 75,000 people on the steps of the Lincoln Memorial in 1939. In order to answer the question, students had to examine her background and address the racism she faced when she was growing up. Normally we read a book of this length in a day, but students were so interested in talking about racism that this read aloud stretched into three days. Over and over again, students wanted to know where racism comes from, why anyone would choose to treat others so horribly. While we did not reach any conclusive answers, we decided it had to do with fear and groups of people living separately. Students brought up how our classroom is groups of people living together, how our president is both white and black. Their faces were shocked, upset, sometimes angry as we talked, but they were also alive with interest. When I first started teaching, having this conversation would have made me nervous, worried I was somehow going to say the wrong thing. However, in my second year with the same kids, I am braver. I let them talk things out, respectfully, of course. I guide the conversation and offer good examples of our world getting a little better, one step at a time. It is amazing to watch them think through such challenging questions, amazing how deeply they care, amazing how even if our world still has a lot of racism, how much it has also changed over the last century. Marian Anderson is a hero I never knew existed. I’m really glad you posted this. I got chills reading your post, and can’t wait until my students feel comfortable enough to discuss those much heavier topics (maybe next year?). As I watched the video of Marian Anderson Singing at the Lincoln Memorial I was also thankful for the technology that they had in 1939, that makes it possible for the people of the future to see those few amazing moments that most would think were impossible that long ago. Lots I’d like to say in reply, but don’t even know where to start … so I’ll just leave it at that I like this post. Very nice post and good on you for giving your students some room to explore the question. I remember when I first started teaching I would get questions from students as young as 2nd grade about racism. Isn’t it lovely to hear how baffled these children are? They have become color-blind. They see race, but it isn’t the identifying marker to many of them. There is hope for the the world. I think this book would be a great one to read with my school kids. It is amazing! I very much agree that it is lovely to hear them think through such difficult questions and not see the rationale in hate. This book is great for this type of discussion. What grade are you teaching right now?